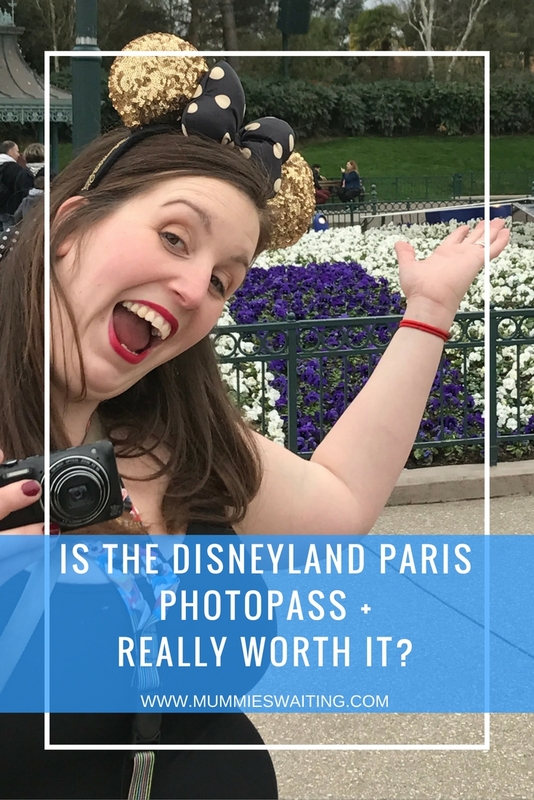 Is the Disneyland Paris PhotoPass + REALLY worth it? 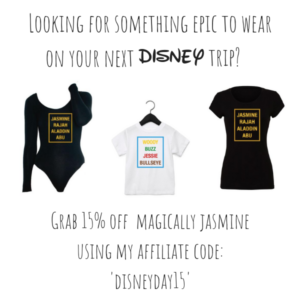 Holidays are so magical but often cost a LOT of money, so most of us are on a tight budget trying to decide whether or not we want to purchase the optional upgrades such as the photo pass +. 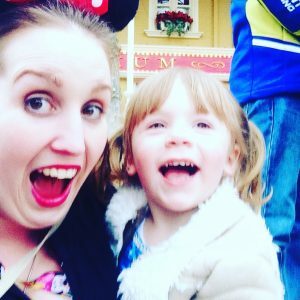 Having plenty of photos from your trips means you will have magical memories to last a lifetime, but if cast members will happily take photos or record video using your own phone or camera, is the Photo Pass plus + really worth the extra money? What is the difference between the Photo Pass and the Photo Pass +? The photo pass is the free pass that anyone in the parks can get. Its a piece of card that you are given every time you have your photo taken at Disneyland Paris or every time you ask for a card at the ride photo counters. You can take these cards to the corner of Main Street at any time during your trip to have a look at or purchase a copy of your photos. The Photo Pass + is a plastic card that you purchase for your trip (either before you go or once you are there) and allows you to store all your character, castle and ride photos on (as well as princess for the day if you have the included). You create a login and can access your photos to download from the mobile app and the PC. *Top Tip* Once you are home, visit the website version of the photopass and download your photos from there as the quality is much better. But how many photos will I end up with? It’s hard to say really, it all depends on the weather, how many rides you go on that have photos and how many characters you meet. We’ve gotten hundreds on some trips and 3 on others! However, you can buy the Photo Pass + in the parks before you go, so my best advice is NOT to buy the Photo Pass + before you arrive at Disney. Get to Disneyland Paris, and collect all the cardboard Photo Pass cards you are given. Towards the middle/end of your holiday you can go to the corner of Main Street and take a look at what photos you have and if you want to keep them or want to print more than 3, then you can upgrade to the Photo Pass + there and then and get instant access to all your photos! Possibly saving you from spending more money and only getting 3! 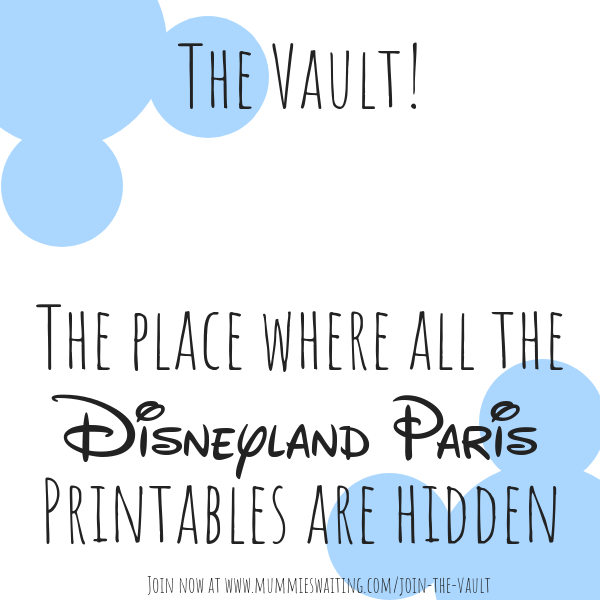 Here are 9 other Disneyland Paris tips! Is the price for the photopass+ the same before you arrive at the parks and if you purchase after your arrival to the parks? Thanks for the tip! I’ve been googling whether to buy the PhotoPass+ and this definitely seems like the best approach. So am I right in understanding that you can collect the photopass cards throughout your trip without buying photopass+, but if at the end of the trip you do decide that you want enough of your photos to make getting a photopass+ worth it, you can get all the photos that have already been taken put on a photopass+ account? Exactly! 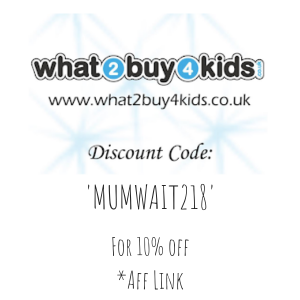 So unless you have a good deal before you go, thats (in my opinion) the best way to do it.